Isn't this such a "happy" card.. pun intended..hehe.. I just love how this turned out! The bright fun colors and then the Birthday popped out at you.. just makes me happy! This card is made using the Jibber Jabber set.. and let me tell you that set is full of just that.. jabber.. but good jabber! Well we will see you tomorrow with another chance for you to win more stamps from TAWS.. Today.. leave a comment telling us what your favorite animal is.. for your chance to be randomly picked to win a TAWS stamp set..
Lovely creations girls... so fun and colourful!! I always thought frogs were fun!! Cute cards. I love cats. Have 2 tabbies now and thinking of getting a new kitten. Hm - I am not sure if an owl is an animal, more a bird but I LOVE THEM. These new stamps are just super and so versatile. I love fish, the colours are so relaxing. Seahorses, clownfish, angelfish, starfish even goldfish :) Then dolphins & whales on the larger scale. 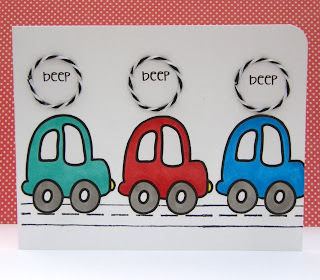 all the cards are so adorable ...love the inspiration from the DT'S. Love pandas, but if we're talking pets to have around your house, then it's definitely dogs. I love listening to the birds outside, but my favorite house pet is a dog - in particular, my dog Maddy! wow these are adorable stamps and sweet cards!!!! Such cute cards! Love the peek at the cloud stamp. My favorite animal is a cat!! Would love to see some cute cat images! wow adorable card! love the flying plane with the zoom zoom zoom. I love all the digis here - especially the airplane. My hubbie is a former pilot and now flies closer to the ground with rc airplanes. Would love to win it! Love, love, love the jibber, jabber set! Unfortunately I don't like animals, so fish would be my option. 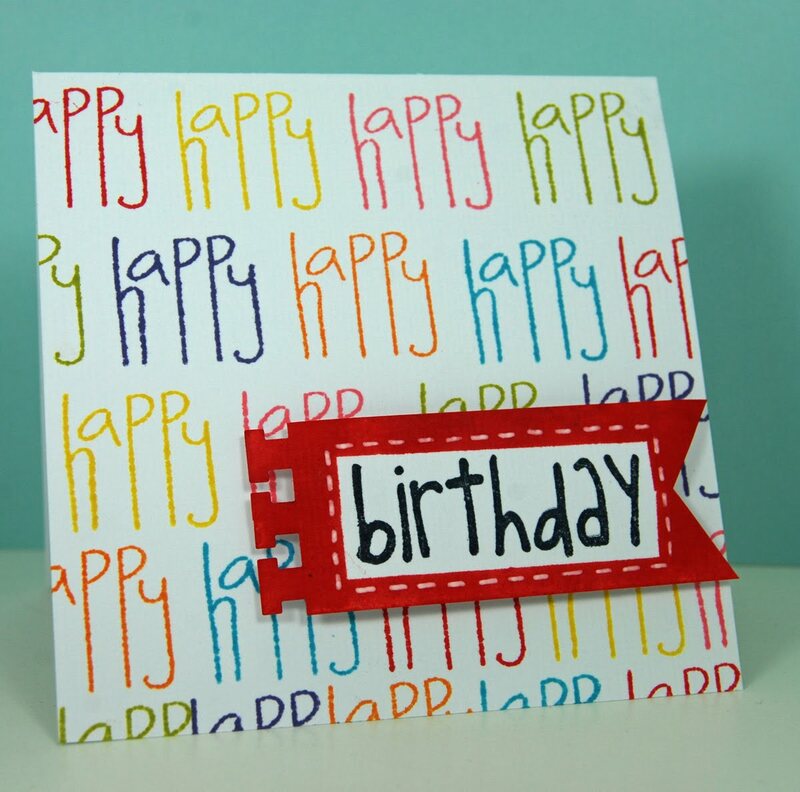 happy, colorful cards...easy to make with images like these! great designs ladies! These are just wonderful cards! I think the airplane one just soars! I just love cats! Fabulous cards, love all the cheerful bubbly colours. All three cards are adorable! I love how simple they are. I've always loved horses, however, DH doesn't think they are so wonderful. Now that I have grandchildren, maybe I can get one. Great projects! As for animals, I've always been a cat person. Love that fun birthday card. The other cards are super cute too. My favorite animal is a penguin. What great cards and so much fun. My favorite animal is a Koala! what cute cards!!! my favorite animal is my cat, but i also really like bunnies alot, too! Favorite animal? for stamping, I love any zoo animal; for real, Cats are my joy! I have two lovely cats who run our household and keep us in line. I'm enjoying your new site. Love these! My favorite animal.. Cats..
My favorite is the plane! Gotta love that set! Super cute and adorable creations. So difficult to choose one. Love them all. So cute and fun cards! love the stamps. I love dogs! for cardmaking I like bears... they are the cutest! super cute, alison--LOVE the airplane card! They're all so adorable! But my absolute favourite is your airplane card, Alison. Gorgeous! Cats are my favourite animal! Adorable and fun images/projects.. thanks for sharing.. So colorful and lots of fun! Adorable cards - love the little plane. Would have to say my favourite animal is either a monkey of a lion. Love your creations girls. They are wonderful.. I love ducks. Expecially baby ducks! 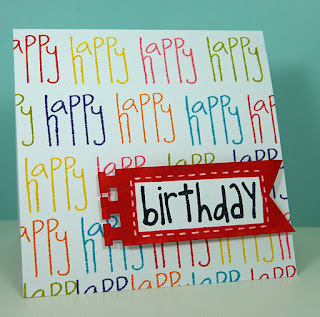 Love all the colorful "happy" sentiments stamped on that card! Fav animal would have to be a puppy. Love all the cards so far! My favorite animal has got to be chickens!!! great job dts.. all cards here is fabulous, i like it all.. Very cute cards. Love the little airplane! My fave animal... probly cats....of all sizes. I love to look at the beauty and power of the big cats. And I love my little ones who curl around my feet, and sit in my lap at the most in opportune times! Thanks for asking. My favorite animal must be the dolphin... they are so playful and intelligent. Thanks for the chance to win. My favorite animal would have to be the ferret, they are playful, fun, sneaky and very smart. Love the cards! they are so fun! Absolutely precious cards! 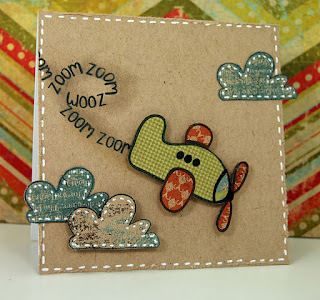 Love the paper pieced plane - so adorable! My favorite animal is the fox. Thanks for the inspiration and for a chance to win!